We are an all-encompassing property services provider that will handle EVERYTHING on your behalf, from start to finish, and beyond. Making a residential real estate investment can be incredibility exciting. At Pinnacle, we can help you to maximize your investment, and save you the time and hassle that is often associated with renting out and managing a property. At Pinnacle, we offer an all-encompassing service that delivers everything you need to manage your real estate investment in its entirety. We harness the power of an extensive network, along with holding memberships to all the right websites to ensure your property gets the attention it deserves. 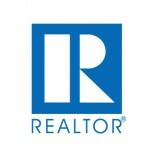 We maximize your chances of renting your real estate out quickly, at the best possible price. Getting the right tenants into your property is essential. We use tried and tested methodology to ensure your prospective tenants are fully vetted and screened prior to being offered a tenancy. Property inspections are conducted on a regular basis to give you complete peace of mind that your property is being kept in the right condition. We communicate the results of inspections with you as soon as they are complete. If something stops working at your property, then you can rest assured that Pinnacle will handle these matters quickly and effectively, at the lowest cost to you. We get things right first time to ensure both you and your tenants get great service. Having your rent paid on time in full every month is absolutely essential. At Pinnacle, we make it our utmost priority to ensure that collections are made every month. We invoice, process, and where needed, will enforce late payment charges to encourage a quick settlement and negate the likelihood of repeat offenses. We will routinely provide you with detailed financial reports about your property to ensure you know exactly what you have coming in and going out. All expenses and earning are documented in full, and you can easily obtain access to this information whenever it is required. As an experienced and trusted property service specialist, we can help offer advice on legal property matters. We will keep you up to date on all the latest developments to ensure that you remain compliant and are fully aware of the current legislation. Although no landlord wants to be in this position, if for any reason you encounter issues with a tenant that will result in a potential eviction; the team at Pinnacle can guide you through the entire process from start to finish. We will work closely with you to reduce frustration and ease any complications. At Pinnacle International, we can take care of as much or as little as needed. Offering a truly bespoke service that fits the clients’ individual needs ensures that we give our customers exactly what they need, at a great price. When you choose Pinnacle to manage your property, you will benefit from our extensive industry experience. We have fine-tuned our processes and know our business inside out. We have delivered on our promises over many years and have a strong history of success in this field. You can trust the team at Pinnacle to help you maximize your real estate investment, and take care of everything on your behalf, leaving you free to relax, safe in the knowledge you have industry experts handling every aspect of your property management obligations. When you are dealing with serious matters, you need to know that you are working with a business partner who you can trust implicitly to act accordingly on your behalf. At Pinnacle, we are proud of our reputation and of our track record. You have experienced and trusted property management experts who work on your behalf throughout the entire duration of our contract. Knowing your property is safely in the hands of trusted industry experts is reassuring, to say the least. Being responsive to tenant and landlord inquiries is essential. We make sure you get quick and decisive responses to all communications. The team at Pinnacle are reassuringly efficient and always happy to help answer any questions that you might have. We can also offer practical advice about how to meet your investment goals or help you deal with any difficult situations should they arise. Would You Like a Free Rent Analysis for Your Property? We can provide practical advice on how to maximize your investment potential. As industry experts, we can tell you exactly how much rent to charge for your investment property. We can help you decide if your home is suited to the Pinnacle Property Management Portfolio. 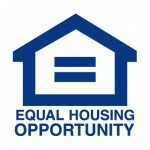 Own property in the Inland Empire, San Gabriel Valley, or Orange County? Let’s face it, getting a decent return on a rental property isn’t guaranteed, especially in Southern Calfornia’s volatile market. With that being said, teaming up with a trustworthy and reputable management company can help alleviate some of the biggest hurdles with owning rental property. Pinnacle International Property Management can help take the stress out of the process by finding you quality tenants and keep on top of the day to day operations such as rent collection, repairs and inspections. 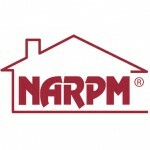 Call us today and see why we are Southern California’s top property management company. When it comes to property management companies in Southern California, not all are treated the same. At Pinnacle Intenational, our team of experts provide the best customer service and have the experience necessary to create lasting relationships with your tenants. Our team will come up with a custom strategy to help you meet your specific goals. When it comes to Property Management, no one does it better! Have A Property? Contact Us Today! In case of emergency please text our 24hr hotline (888) 746-6468. If it is not an emergency please submit your work order on your tenant portal with picture.